The quartet of Victor Moses, Kenneth Omeruo, John Ogu and new invitee Tyrone Ebuehi were the latest to arrive Super Eagles London camp ahead of the international friendlies against Senegal and Burkina Faso. 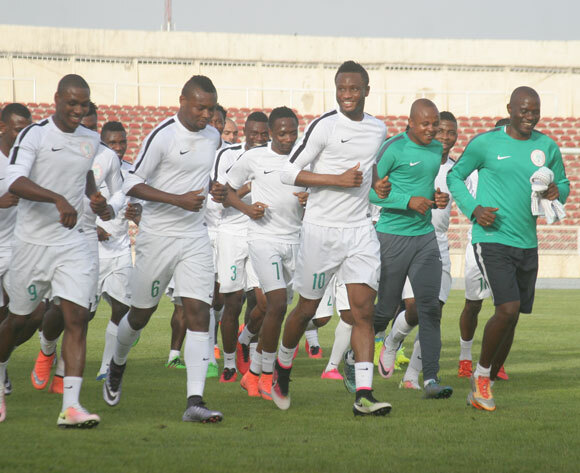 The Super Eagles twitter handle revealed that four players joined the team’s camp late on Monday preparatory to the double header friendly games against the two West African neighbours, Senegal and Burkina Faso respectively. “Others in camp are Tyrone Ebuehi, John Ogu, Kenneth Omeruo & Victor Moses, who will be excused from camp tomorrow owing to his injury,”the tweet reads. Turkish based Omeruo, Israeli based Ogu, Netherlands Ado Den Haag right-back, Tyrone Ebuehi and Chelsea wing-back Moses stormed the camp, according to report, the Chelsea’s star is likely to leave the team tomorrow because of injury. More players are still expected in the team’s camp tomorrow ahead of the crunch battles against the Teranga Lions of Senegal and Stallions of Burkina Faso respectively.